It’s a Friday night at the beginning of February, and snowing outside, but John Morgan, chair of Hastings & St Leonards Priory cricket club, is on the upper deck of the Horntye sports hall, supervising juniors’ and ladies’ indoor nets. He and they are making best use of the facility while they still have it: there is a strong possibility, acknowledged on all sides, that 2019 may be the last summer that Priory will have this as their home. 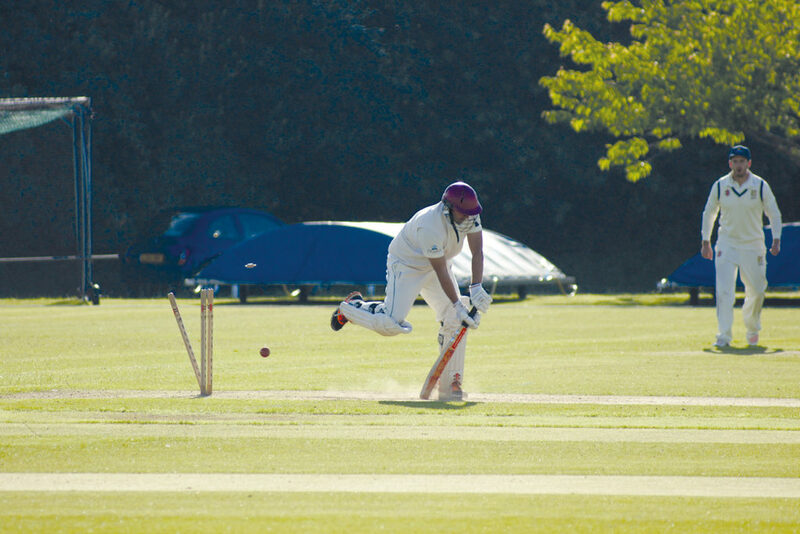 The trustees of the Horntye Park estate have made it clear that they are hoping to sell both the cricket ground and the artificial hockey pitch alongside for housing development. It seems that the sports hall and pavilion may be retained as a leisure and social facility to serve the incoming local residents. It was, after all, completed less than 20 years ago as a state-of-the-art building fit to service first-class county cricket in succession to the Central ground that became Priory Meadow shopping centre. But the Sussex County cricket establishment has shunned it, and the Priory club plus Horntye’s other regular sporting tenants, South Saxons hockey club, were never going to make it a sustainable financial base on their own. 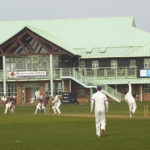 Weddings and other social functions, quiz nights and bridge afternoons, indoor football and martial arts, have all helped to keep the pavilion ticking over – but not enough for long term solvency. Those green acres outside, on a prime town site, have been eyed for development for quite some time. Two years ago the trustees joined with Hastings United football club in an ambitious project to set up a combined sports complex at Bulverhythe (re-branded as Combe Valley Sports Village), to which both the cricket and hockey clubs would transfer, with funding to be derived from the profits of house-building both on the Horntye estate and at Pilot Field. A development company Keepmoat Homes was engaged; plans were drawn; Hastings Borough Council made encouraging noises, and were prepared to throw in some land of their own. Then, a little over a year ago, Keepmoat withdrew, and after some months the United football club directors announced that they were pursuing a separate move to Tilekiln, leaving Horntye adrift. Now the trustees are engaging in their own sale venture, while assuring their tenants that no eviction will take place unless and until there are definite alternative plans for them. 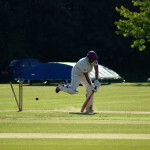 While we watched enthusiastic 12-year-olds running in to bowl to padded and helmeted batsmen of similar age on a range of four parallel nets on the floor below, I asked John Morgan for the latest news. JM: Peter Finch, the chairman of Horntye Park trustees, has told us they’re negotiating; nothing at this point is definite. If they do sell – and I understand they’ve got an offer which is too good to refuse – they will definitely make alternative plans to keep hockey and cricket in a strong position in the town. HS: Where else could that be? Isn’t it difficult to find an open space in town that’s big enough for cricket? JM: All options are open, but I suppose that Bulverhythe is still the obvious area. It’s not aesthetically pleasing like here. But if we can find a space where we can have two pitches alongside, so that the third team – which at the moment has to play elsewhere – could play at the same time as the first or second team, then we could make a better club environment, with our own clubhouse. HS: How optimistic are you? JM: I trust that Peter and the other trustees will look after the interests of cricket in this town, that’s what they are there for. So will the Sussex Cricket Foundation, the body that is now in charge of all league cricket in Sussex. They are supportive, they want this part of the county to develop cricketers. Sport England, which provided funds for the move in the 1990s, may give some help. HS: What contingency arrangements could you make if a ground can’t be found and made playable by 2020? JM: We have to have a home ground of some sort. We couldn’t just play all our games away, because other clubs have second teams as well, that use their home grounds on alternate weeks. We might have to be nomadic, or share a school ground, for instance. But we’ll survive. When we first moved up here in 1995 we lived out of portakabins for five or six years until the pavilion was built, and the atmosphere was really good then – more like a village club. Don’t get me wrong, this building here [Horntye] is fantastic. But it has felt sometimes like being the resident of a manor house. I think I’d really rather live in a cottage. HS: How are you approaching the 2019 season? JM: We’ll be running three senior teams, three sets of juniors – under 16s, under 13s and a soft ball team (under 10s or older beginners) – and an eight-a-side ladies team. Tom Gillespie will captain the first team again, and we are expecting his dad Ian to continue as coach. Kerry Henman will captain the ladies; Jack Stapley and Joe Adams will run the second team, and Toqeer Mohammad the third; Piers Cowley and Adam Page will supervise the juniors. HS: Any departures? Anyone snapped up by Sussex Premier clubs, now you’ve been relegated to Division 2? JM: We hope not. Joe Billings will be at university in Durham and Harry Scowen at Bath, so both will be missing for the first half of the season. But we think we will still have a strong squad. Last season almost everything that could go wrong, in terms of injury and loss of form, went wrong. But it’s basically still the same squad of players that twice finished fifth in the Premier. I’m confident they can get us back up. JM: We are looking at a couple of overseas players recommended to us by previous visitors. But we would never pay the kind of money that some other Sussex clubs offer. HS: When do you start? JM: We’ve started already, with nine weeks indoors on Friday evenings until the end of March. We’ll have a couple of friendlies, beginning with Mayfield on 13th April, then a national cup game against Tunbridge Wells side Linden Park, then the league season starts the first Saturday in May.